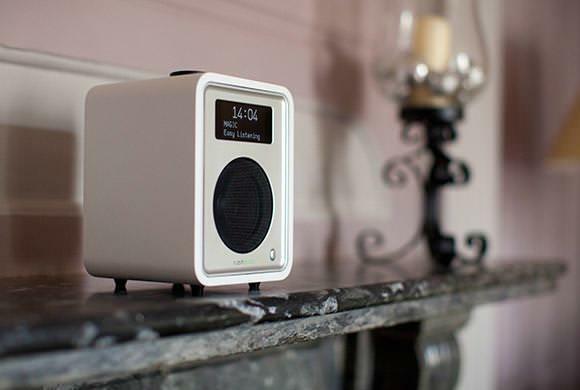 The award winning and beautifully simple, R1 in Soft white is the third generation of the iconic table radio. 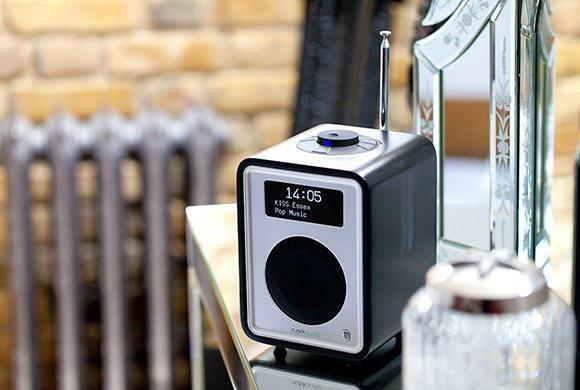 Ideal in the kitchen, perfect in the office and simply delightful to wake up to in the bedroom, if you love listening to the radio then you’ll find our R1 a revelation. The Ruark R1 features a DAB, DAB+ and FM Tuner, Bluetooth Receiver, Switchable Line Input, Stereo Headphone Output, USB Power Port, 20 Station Pre-sets, High Contrast OLED Display and Comprehensive Dual Alarms, we believe, the best and most complete table-top radio available. Digital Radio and FM tuning options provide the ultimate in local & national radio stations. Enjoy the warmth of BBC Radio 2 on FM or take in the clean sounds on Absolute 80s. 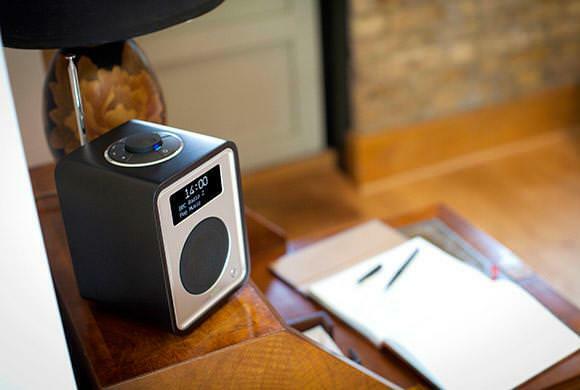 The Ruark R1 MK3 makes full use with the current trend of wireless streaming audio without the compromises. Bluetooth streaming with compatible devices. After a simple pairing with the device, you can stream any audio from the device to the R1 speaker. A handy option is to the ability to watch a YouTube clip on a tablet and have the audio streamed to the R1 giving you the ultimate experience. 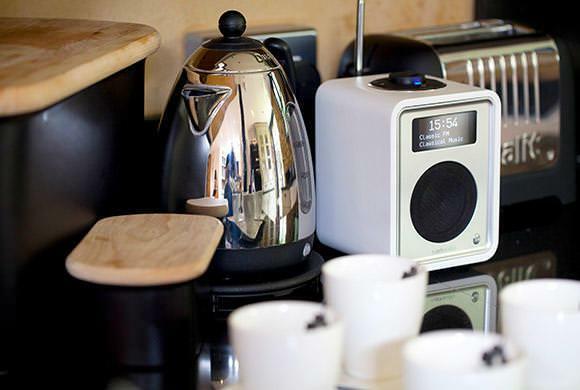 The Ruark R1 MK3 makes the perfect Bedroom or Kitchen companion, however with a few bespoke extras your R1 can not only look stylish but also be portable. Picnics, gardens and long walks; the list of possibilities is endless. An optional battery back fits snugly to the rear of the unit will offer hours of mains free listening. Couple this with the leather options of the CarryPack and you have truly portable system. The stitched leather CarryPack is available as an additional purchase like the BackPack battery option. Coming in stitched brown and stitched black leather. As a premium retail partner of Ruark we can offer you the best advice, selection and after care service than national retailers. 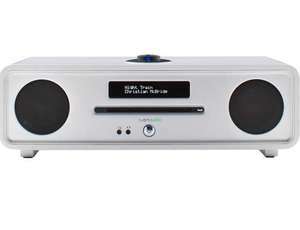 A full demonstration of the full primary line of products from Ruark is available our Rawtenstall store in Lancashire. 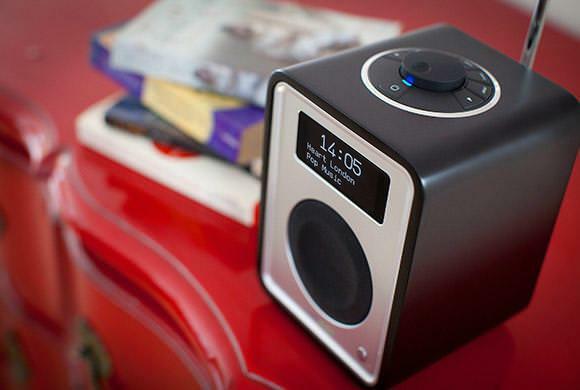 The Ruark R1, R2 and R4 each come in Soft Black, Soft White and a Rich Walnut finish. All three finishes are available to sample and enjoy in our retail stores. 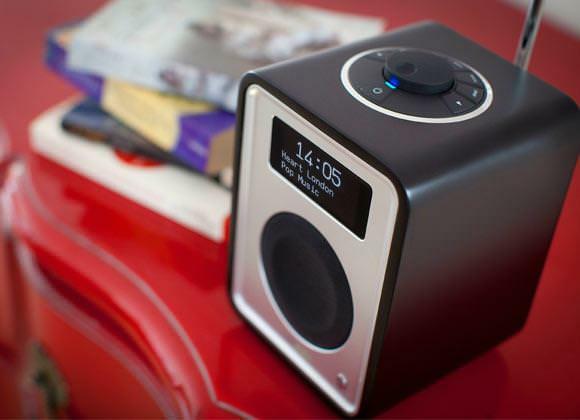 Why not read our in depth review of this Ruark R1 DAB Radio. I can't help thinking that I should not have needed to pay the thick end of £200 to get a decent bedside clock radio, but it seems I do and with life being short and all that I decided what the heck and forked out. I bought this item because it is a DAB radio with a proper aerial (not a dangling bit of wire), OLED display (not a barely visible LCD) and decent sound. Used as a bedside clock radio, I'm really happy with the product. There is a lot of bass and it pulls in signals well in what is a difficult area for radio reception. I successfully played some music from my phone on the R1 via bluetooth and the results were fine, but if someone is mainly looking for a bluetooth speaker then there are plenty of better cheaper and more portable products out there. I have deducted one star because at this price it needs to be perfect and it isn't; the main imperfections are that headphone connection is wired only (can't connect bluetooth headphones) and the alarm options are a bit limited when it comes to repeating the alarm on specified days of the week (i.e. there is a daily repeat, a weekday repeat but no repeat on specified days of the week). 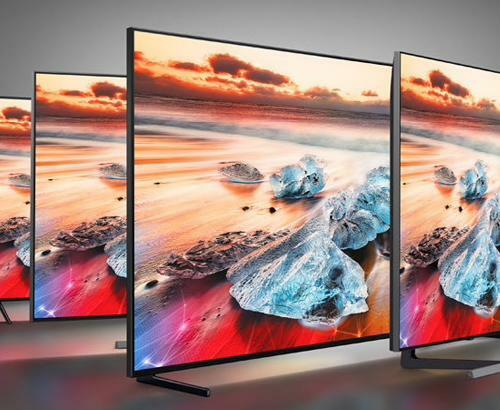 At £200 it may seem a little pricey but when compared to the near competition (£120-£180) it seems positively cheap in terms of what you are getting. So it ticked my basic requirements - Job done! But there is so much more to the R1... - Superb Build Quality - It just feels better than everything else, it's heavy and solid. You get the feeling it is going last. - Great Styling - The R1 comes in a range of finishes to meet any interior design style. It looks sleek and modern. Well worth the money, I have yet to see anything that compares in terms of quality. This is a lovely little stereo. It sounds great, it has a good set of functions (DAB, FM, bluetooth, 3.5mm jack, and USB charging slot), it's really easy to use, and it has a really nice clear bright display. It's just a joy to listen to, and has improved my kitchen no end. Highly recommended. 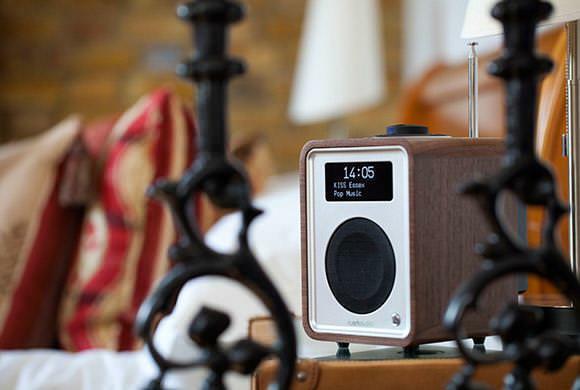 Ruark have been clever with this radio. It is simple to operate and sounds amazing. 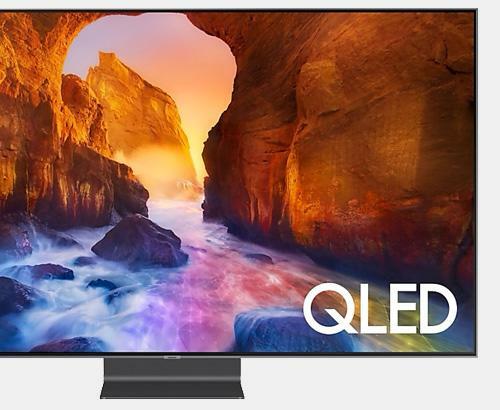 The build quality is superb and looks great. Quite simply, you get what you pay for and this is no exception. Outstanding overall. 5 out of 5. Superb piece of kit, great sound and functionality - could do with a remote if revamped. This is without doubt the best radio I have ever owned. It not only looks fantastic and it sounds even better. Amazing quality from such a small all in one. Great sound, looks good and very subtle. Well worth the purchase. Great product. East to set up and use. 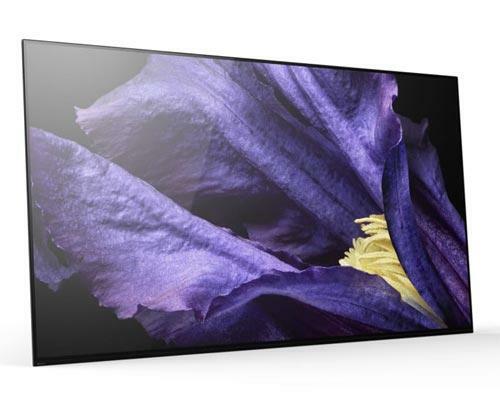 Sound quality is great - much, much better that the Roberts and Sony devices it is replacing. Appears sturdy and build to last. Would thoroughly recommend. Treat yourself! Yes it's expensive for a portable radio but everything about it feels high quality, even down to the packaging. It's simple to use looks great as a feature in my window sil and the sound quality is amazing. Bear in mind it's a portable radio regarding sound quality so you won't get thumping bass, so look elsewhere if that's your aim. Im not what you would call tech savvy so Im not sure on the insides of this radio but as I'm guessing its a single speaker at the front the sound is brilliant as the tuner I pick up more DAB channels than my previous radio and is light enough to move from room to room, may invest in the external battery pack next. Talk Sport sounds 10 fold better on here than it does on the car radio, perfect for Saturday afternoon football matches. 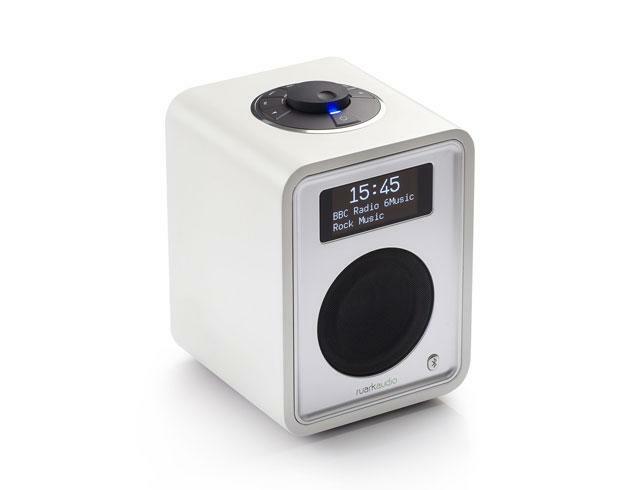 although a little expensive its easy to see why its at the price it is, premium built fantastic sound even for such a small unit, and with the added bluetooth connectivity its a must for when I'm tidying the bedroom!